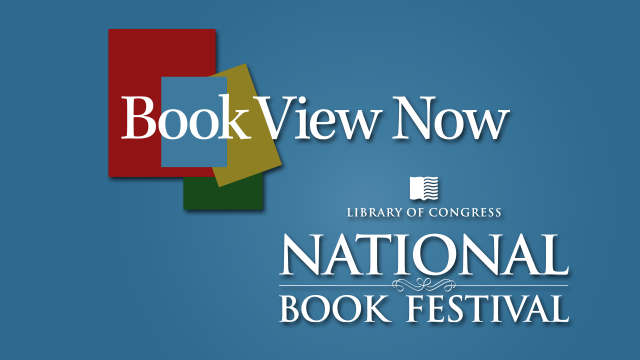 Book View Now bring the Library of Congress National Book Festival to you! Hosted by Jeffrey Brown, PBS NewsHour and Rich Fahle, Book View Now. The National Book Festival will be held Saturday, September 5 at the Walter E. Washington Convention Center in DC. Live stream coverage of the event will air from 12 noon until 6 p.m. ET, with interviews tentatively scheduled with authors Kate DiCamillo, Jon Sciezcka, David McCollough, Tom Brokaw, Louise Erdrich, Kwame Alexander, Marilynne Robinson, Jane Smiley and many more, as well as segments showcasing the energy of the Book Festival floor. Watch here at BookViewNow.org live and at select PBS station websites and the WORLDChannel.org. In addition, select segments will be archived and available for on-demand viewing on PBS.org, PBS station websites and all PBS video apps, including iPhone, iPad, Xbox, Roku and Apple TV, as well as YouTube.